Enjoying an Aperol Spritz in the front bar section at Cutler and Co, the latest baby of Andrew "Cumulus Inc" "Three, One, Two" McConnell. You'll find Cutler and Co on Gertrude Street between Nicholson and Brunswick Streets, at the other end from Ladro, Birdman Eating et al. 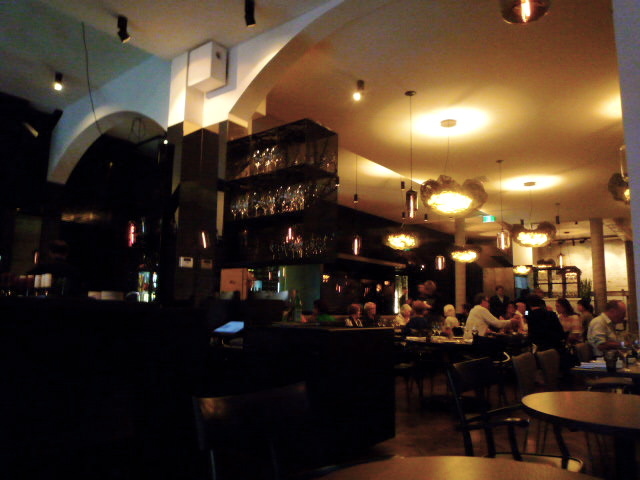 Yes, it's a restaurant (and a damn fine one at that, as best-friend-K and I discovered last Wednesday night), but it also has a generous bar which can be enjoyed in its own right rather than as a mere prelude to eating in the back dining room. 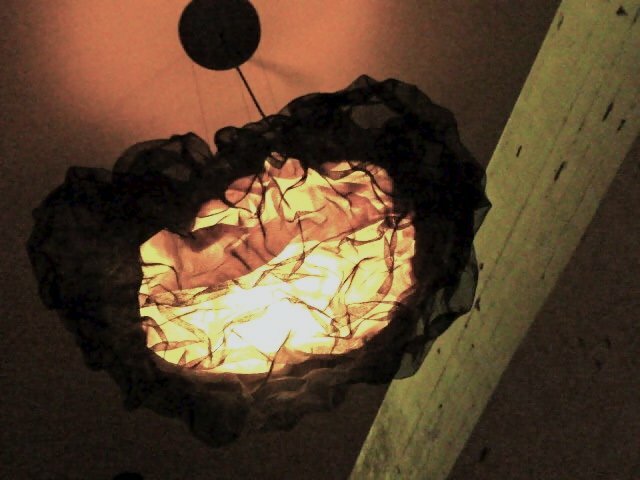 We couldn't make up our minds about the light fittings: b-f-K thought they looked like mushrooms, I thought they looked like shower caps. 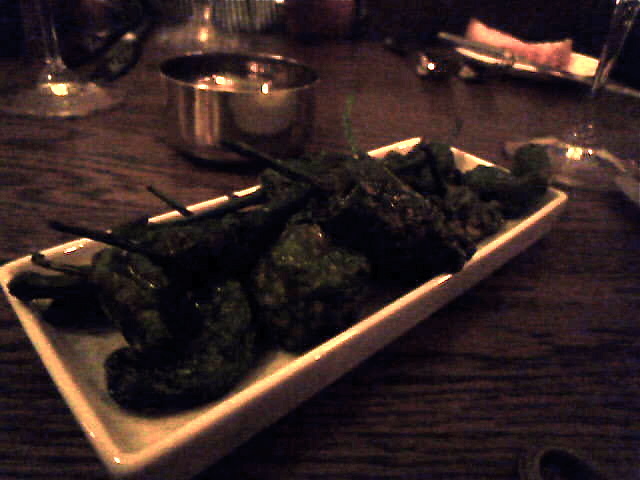 'Os Pimientos de Padrón, uns pican e outros non' - Galican for 'Padrón peppers, some are hot and some are not'. The most famous produce of Padrón, which are small green peppers from the capsicum family. They are served fried with olive oil and salt. Most taste sweet and mild, though some are particularly hot and spicy. All but one of them were sweet and mild and satisfyingly salty, but boy oh boy the single one that was spicy (which I had the "luck" of chomping) brought a tear to the eye! 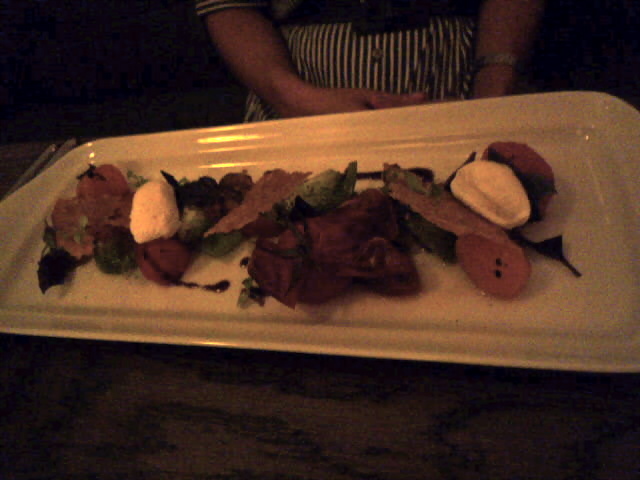 For her entrée, b-f-K chose the tomato salad with fromage blanc, lemon basil and aged balsamic ($17). As she ordered it I thought to myself that it sounded like exactly the sort of ostensibly basic dish that Andrew McConnell would do really, really well. I was right! The salad was stunning, including black Russian and zebra tomatoes as well as the more common red varieties, and Thai basil and lime basil as well as lemon basil. Shards of rye wafers finished it off. 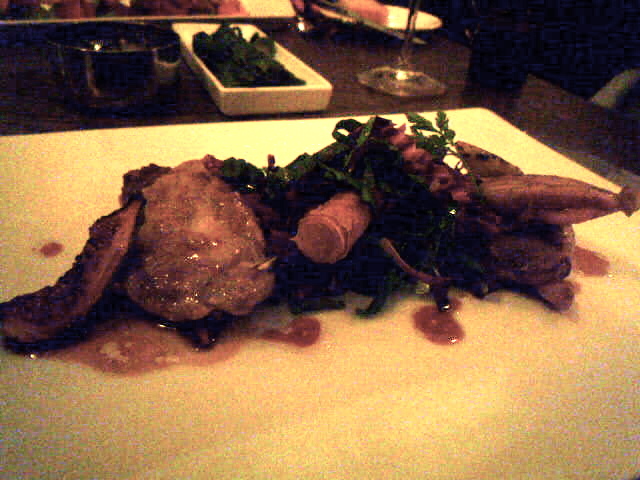 Given my recent fanaticism for figs while they're in season, I couldn't go past the entrée of wood grilled quail ($20). It too was sensational. Spread on another rectangular plate of pleasing proportions was a smear of parnsip and vanilla purée (! ), upon which were heaped fresh figs, leaves, pomegranate seeds, the portions of quail and a curious little pastry cigar. Given that we'd ordered the appetiser and two entrées AND were planning on desserts, we decided to share just the one main course, washed down with an Albariño. 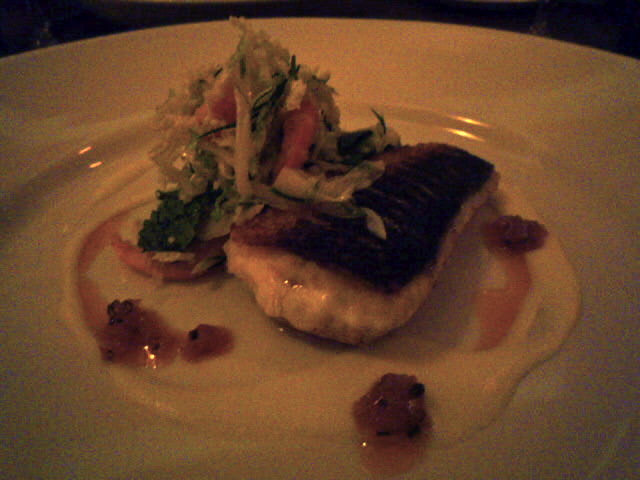 We opted for the grilled rock flathead, served with a salad of school prawns with a honey and chardonnay vinaigrette ($36). 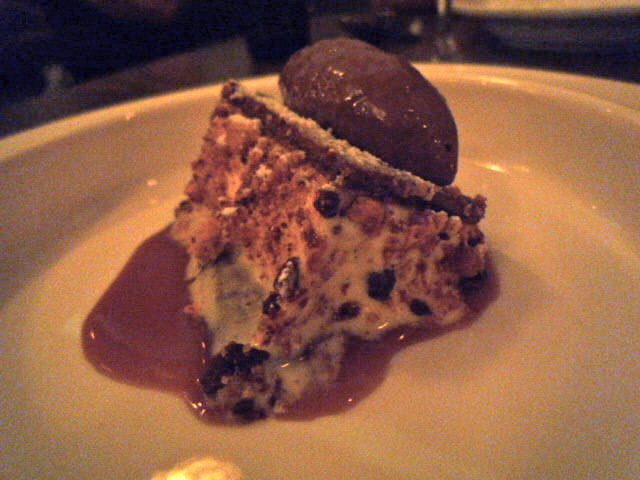 We'd explained when ordering that we'd be sharing the main, so when it came out it arrived pre-divided on two plates. Aw, bless. Photo of half below. B-f-K didn't like this one much (she felt the prawns "didn't do much")... while I agree that it didn't quite live up to the entrées, I quite liked the fish mixed with the smear of whipped potato and shellfish reduction with tomato that surrounded it. 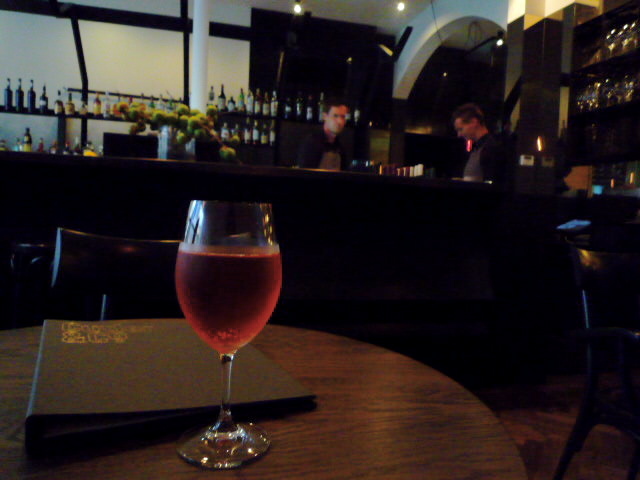 When I'd told him that I was going to Cutler and Co, Ed had recommended the ginger granita ($16). Just as well he told me, because it's the sort of dish I probably wouldn't have ordered, but I'm certainly glad that I did! The ginger granita is served on a bed of creamy coconut tapioca, with fresh lychee and baby basil seeds looking like they're about to sprout tadpoles at any moment (an aside: like salted caramel, baby basil seeds seem to be what all the cool kids are using these days - they're also featured in the smoked trout broth at Attica). It was the perfect combination of sweet creaminess and refreshing palate cleanser, with a wonderfully clear flavour of fresh ginger. 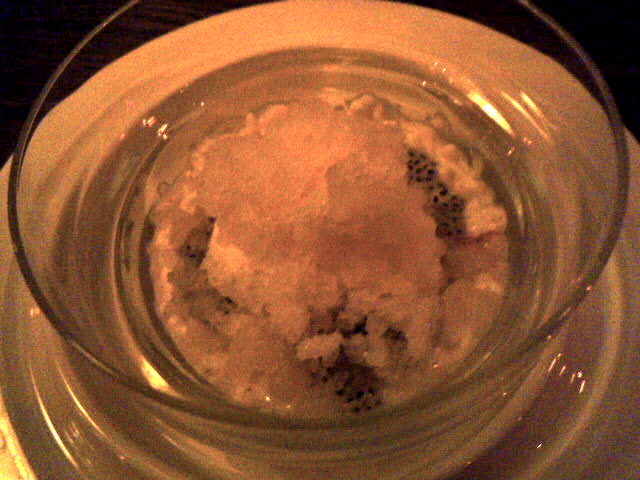 The texture of the basil seeds and tapioca against the icy granita was brilliant. So, hie you hence to Andrew McConnell's Cutler and Co: it may be one of the most expensive restaurants on Gertrude Street, but it's very probably also the best. 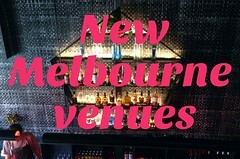 I dined there on the weekend as well, yes more expensive than the others but typical McConnell got-to-absolutely-love-it-food. I think they are wary of the iphone now, a waiter (that I know) dropped a comment about me twittering and blogging dinner!Yikes! I had the icecream sandwich on your and eds tweet recommendation... that caramel, well it may just get me baking. I'd twitter on the way to or from a restaurant but tweeting DURING a meal is an anti-social step too far, I feel! That salted caramel is off the charts. I'm going to attempt to recreate Jess' chocolate and salted caramel tart next Sunday - wish me luck! This place sounds amazing, from yours and others posts. I think I'm in love with basil seeds, they are so different and are an actual adventure to eat, the gelatinous outer coating followed by the crunchy center. Yes I have tried to chew a single basil seed. I'm weird I know. I agree with you on basil seeds Maria! Attica's smoked trout broth and Cutler and Co's ginger granita are about as dissimilar as two dishes can get, flavour-wise, but the basil seeds work beautifully in both. One of the most disappointing dining experiences ever. We were left standing at the door for 10 minutes by 3 different floor staff. the 3rd one said "I'll be with you in a minute" and then went over to air-kiss, hug and chat with an entire table of (presumably) her friends, before eventually returning to seat us. 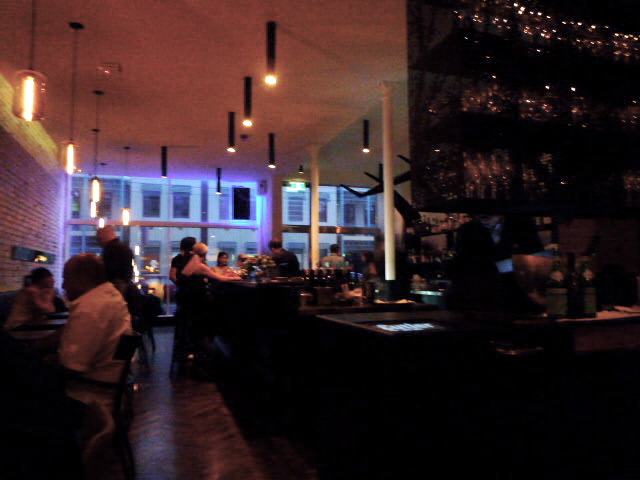 Finally got seated (next to another table of staff friends - all very drunk & very loud). Appetisers arrived at the same time as entrees. my wife's food was fine, though unremarkable & greatly overpriced. both my courses arrived cold. bread didn't arrive at all & had to be requested. We asked to move to a different table to try to enjoy the end of our wine (the noise from next-door had become unbearable). Minutes after getting home I became violently ill - presumably from the fish/shellfish in my main course. The restaurant telephoned my wife the next day for "feedback" and despite having all of the above relayed to them, all they could say was "well, i hope you'll give us second try". No apology, no concern. My wife told them we definitely would not be giving them a second chance. We love cumulus & were so disappointed by cutler. 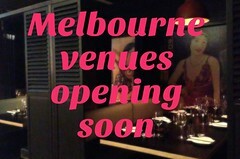 Poor service, poor food, over-priced & massively pretentious. I'm sure it'll continue to do a roaring trade, packed to the rafters with people who are there simply to be seen.